Now whilst their third album 'Freedom Run' was a grower and took a number of listens before it became truly appreciable 'None The Wiser' takes on a far more immediate approach. Opening with the already now familiar tracks Minute Mile and Heebie Jeebies you get a true sense of revival as the band inject a new found vigour in to their music through neck breaking melodies and quick fire percussion. By the time the big hitting guitar solos of Go Lucky unfold it's safe to say picking a favourite track would be quite a hard feat to achieve. Renowned for mixing disconsolate lyrics with happy go lucky rhythms that leave you wondering whether to contemplate life or jump out of the chair and dance the band continue with this confirmed formula as Joel bleeds out of his heart "If It wasn't for love then I wouldn't make the same mistakes". As the age old saying goes if something ain't broken don't fix it and that seems to be the case here. There's nothing groundbreaking or out of the ordinary but as the album progresses you realise no one quite does simple catchy guitar Pop like The Rifles and we love them for that. As the in your face guitars make way for more gently strummed numbers towards the mid section its the bright and breezy melodies of All I Need and the sublime harmonies on You Win Some that take to the limelight. Its tracks like these that display evident proof for the bands ever broadening influences as Folk, Americana and Classic Rock all add their touch to their progression. With their previous effort receiving some light criticism for not having enough variety I don't think there's much of the same cause for concern here as they switch softly plucked guitars for more jangly rhythms in a split instant. 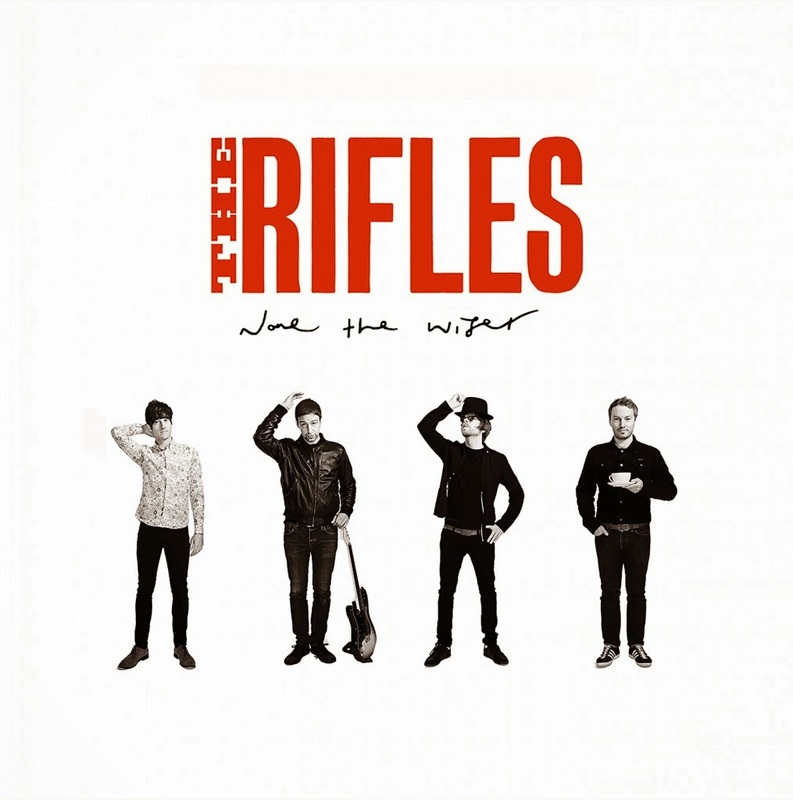 I most certainly wouldn't be wrong in saying The Rifles are back in a big way rejuvenating their roots with a modern edge twist. Just take Catch Her In the Rye for instance. If that play on words isn't enough to whet your appetite then the aspirational drive and evolving nature sure will be as its endearing reprise breaks through to devastating effect. Elsewhere some of the newer influences breaking through on The Hardest Place To Find Me and Electric Eccentric head up a strong harmonica revival before once more the band's blissful chord progressions and driving vocals create an ever lasting impression. Determined to go out with a bang the band have saved their most joyous and rave ready track for last. If Under And Over doesn't get you up throwing yourself about then I'm not sure what will. As beefy orchestral-esque vocals lead the way over a trundling intro all hell suddenly breaks loose in to a whirlwind of feel good angular mod riffs. As an acapella eases the tension lead singer Joel gives it a last blast as the percussion returns for one final bow out. It's clear to see (or rather hear) that any issues of staleness are most certainly diminished as 'None The Wiser' most definitely represents a band with a much wider direction carrying a new sense of freedom. A sort of hybrid of all three previous records if you will. The Rifles are back and they're having a bloody great time! Be sure to catch them out on the road throughout April and May, tickets are available here. The Rifles fourth studio album 'None the Wiser' will be released via Cooking Vinyl January 20th.